Its products are made form natural Ingredients and they do not use any harsh chemicals and preservatives in their product . This Goat Milk soap is a hand made soap meant for dry and sensitive skin . It is loaded with essential vitamins and has anti inflammatory properties . It has goodness of Goat Milk and various Oils . The soap comes in brown paper cover . All the product information is given on a white paper which is above the brown paper . 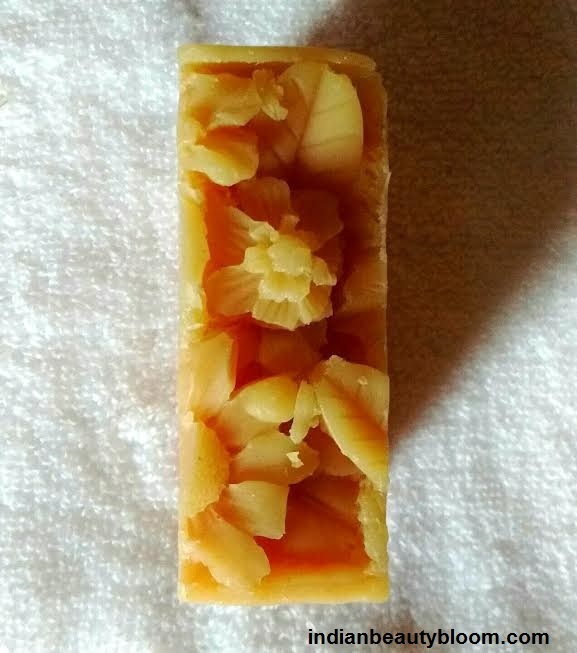 It’s a yellow color soap with some floral design at the top . The products is meant for dry and sensitive skin . The product claims to moisturize the skin and make it baby soft . 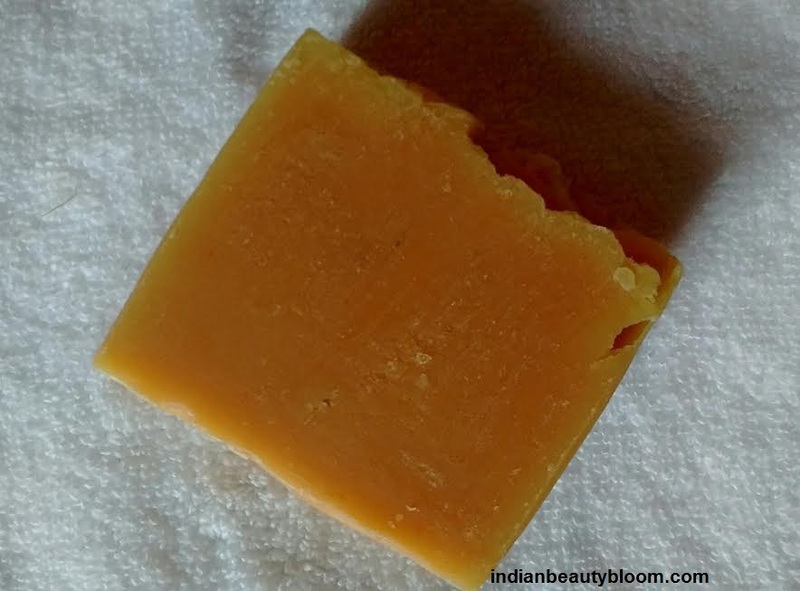 It claims to slough off dead skin and brighten the skin . It also claims to treat acne . 1. Natural product with all natural ingredients . 2. Does not contains any harsh chemicals or preservatives . 3. 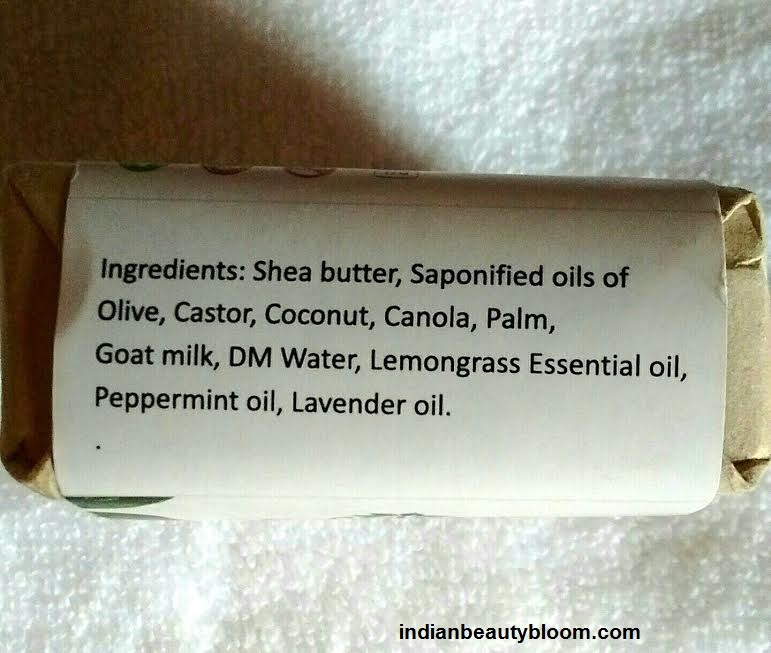 Has various oils like Olive oil , Castor oil , Coconut oil , Lemon essential oil , all good for skin . 4. 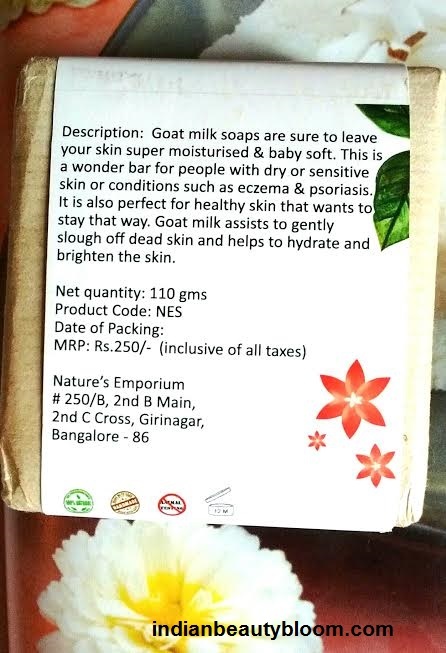 Contains Goat Milk which has essential nutrients and Vitamins . 5. Has anti Inflammatory properties . 6. Treats acne and pimples . 7. Has a nice fragrance . I have used this soap few times and I liked it . It did not made my skin oily ( as I thought it would as its meant for dry skin ). It’s an Effective Cleanser , made my skin clean , clear and oil free . It can be used for face and body both , right now I am using this for my face only . It has a nice mild fragrance . So would recommend this soap to ones who Love Hand Made soaps or Goat milk soaps . 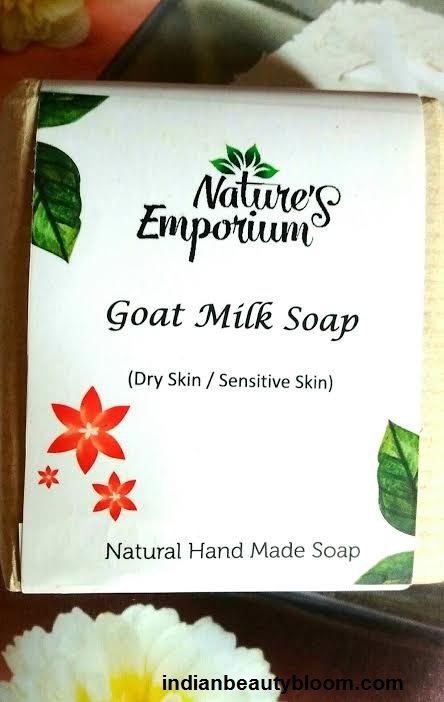 Price might seems bit high but it’s Okay considering the fact that it’s a Natural product loaded with goodness of Goat milk and several oils .